What’s the Scoop on Non-Toxic Natural Sunscreen? Very few business areas are as close to our skin, literally, as the body care industry. Yet it is one of the most unregulated. Our skin is our largest organ, yet all of our products have little governmental oversight or production standards to protect our health. This includes all of our shampoos, lotions, soaps, make-up and other skin care products. As warmer weather is upon us, many of us begin to put vast amounts of sunscreen onto our bodies as well as onto our little ones. Did you know that children have a tendency to spend much more time outdoors than adults? This makes them especially at risk to get a sunburn. 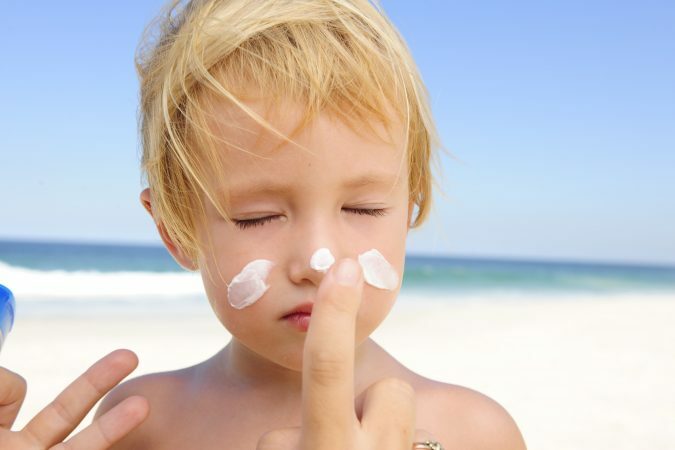 In addition, children are often exposed to unhealthy ingredients in our sunscreen products. So, what can we do about it? Look to natural sunscreen for the answers. What do we need to look out for, what products and ingredients are best, and how to decode the Sun Protection Factor (SPF)? We’ll speak with an expert today, a concerned mother and nurse-turned-entrepreneur.